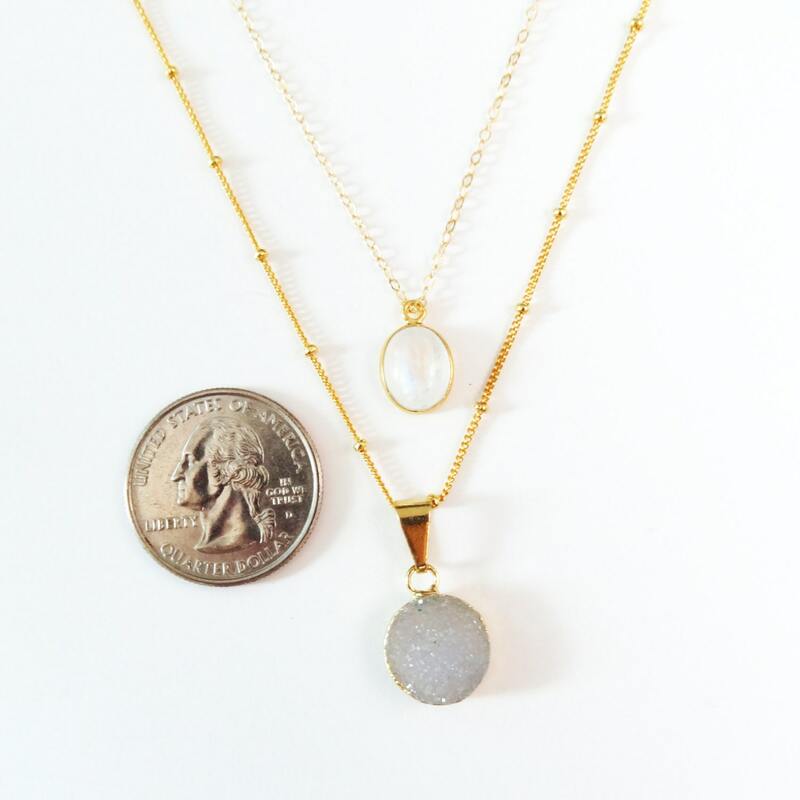 Rainbow moonstone and gray druzy come together in a gorgeous gold layered necklace set. Both of these pieces are on a gold filled chain which will retain its pretty gold color for years. 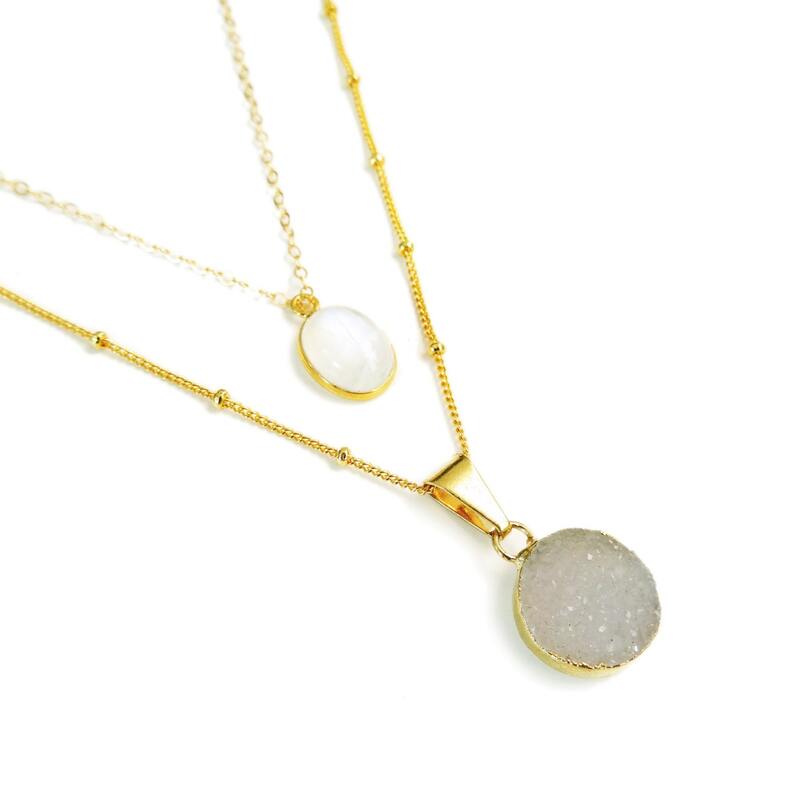 The druzy is on a satellite-style chain with delicate little balls for some extra dainty texture. You'll love this set! 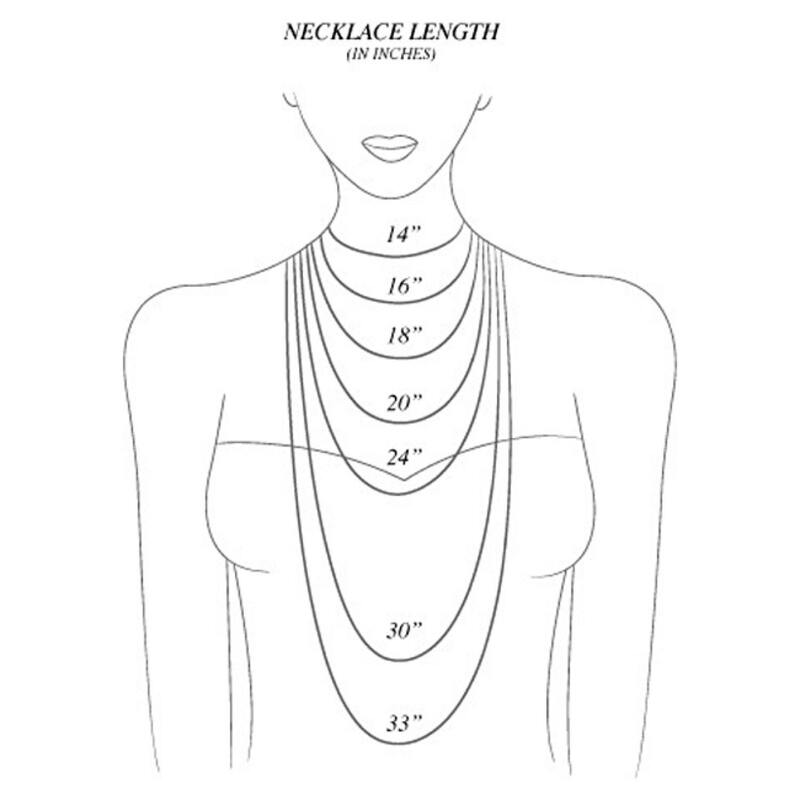 Feel free to order individually or together! This is great to be put together this way. 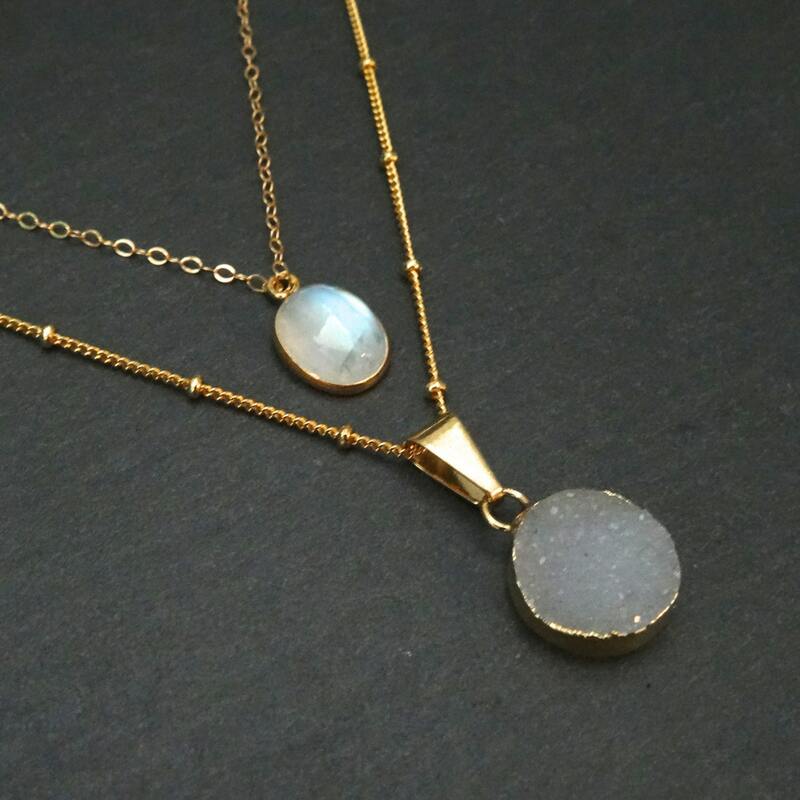 I like the simplicity and the moonstone. 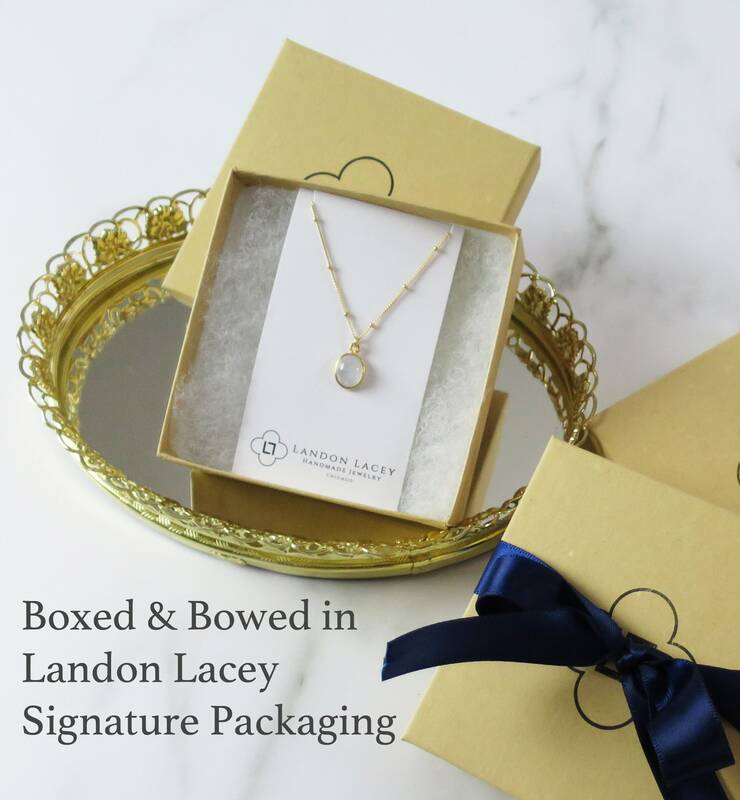 This necklace is delicate and sparkly, very beautiful. Lots of compliments the first day I wore it! Great experience, shipped super fast. Thanks LL!